AGF is upgrading the security of our website on Thursday May 24, 2018. 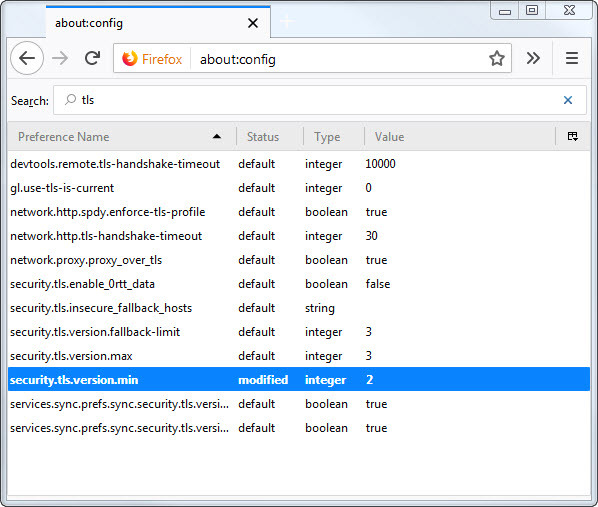 If you are seeing alerts on AGF.com, it is because your browser has been identified as not supporting TLS 1.2. Anyone with an unsupported browser will not be able to login or use My Book after the update. 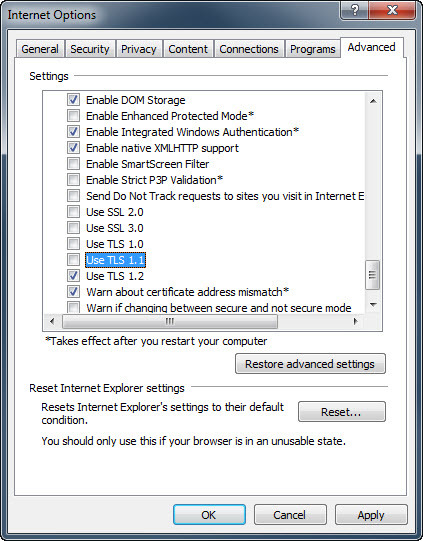 AGF recommends you upgrade your browser to the latest version, which will support TLS 1.2. 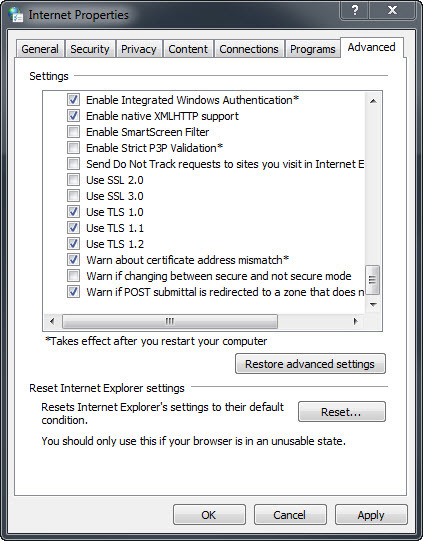 Some browsers may support updated security, but require you to turn it on. Instructions for how to update your browser are below. If you can't perform one or more of these steps because you do not have Adminstrative Access to your computer, please contact your I.T. team for assistance. Locate the menu bar at the top window, click Tools > Internet Options > Advanced. Scroll down to Security section and select Use TLS 1.2. Scroll down and select Show advanced settings or select Advanced from the left hand menu. Safari version 7 or higher already supports TLS 1.2 and no action is needed. If you are not using Safari version 7, please upgrade.